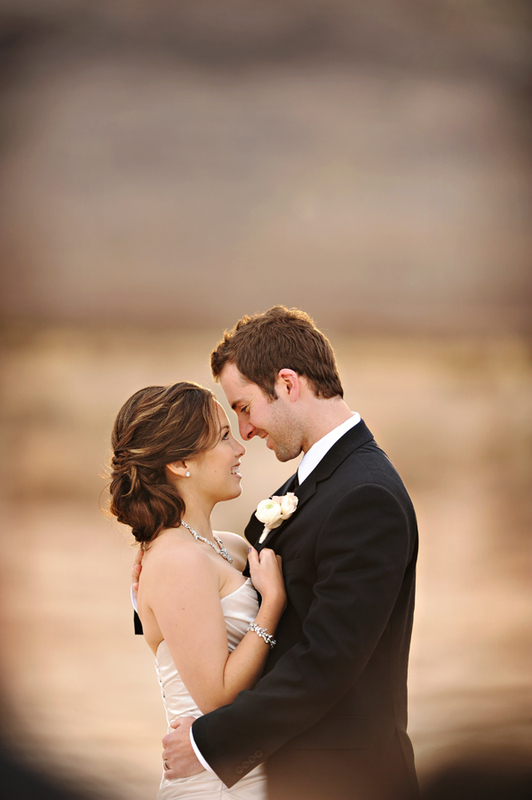 For the second year in a row we hosted a photo shoot out in the desert while we were attending WPPI. And with 16,000 photographers all in the Las Vegas area, people are itching to get out and use their cameras! It was so much fun to have an amazing group of photographers all pile in a van and head out into the middle of nowhere. Waiting for us, thanks to stylings of Gloria McCune of Grand Engagements, were three chandeliers hanging out in the middle of a dry lake bed. And no, those weren’t photoshopped into our images! haha. They were actually there, and couldn’t have made the shoot any better. Kate and Chris, whose wedding we shot back in June, were so amazing to come all the way out and be our models. Battling the sand, wind, and freezing cold….they were beyond fantastic. Here are just a few of our favorites and be sure to check out our desert shoot Facebook Group where all of our attendees are posting their images as well! Seriously blown away by what everyone captured. Lovely photos! It was such a pleasure to work with you guys!